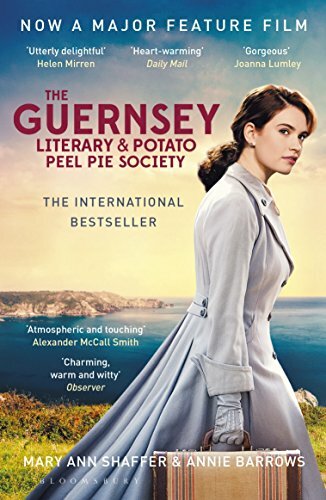 Like my summer reads recommendation last week, there has been a lot of hype about The Guernsey Literary and Potato Peel Pie Society over the past few months as the book was adapted for the big screen. As I'm a bit of a history nerd, I was curious about the occupation of Guernsey during the war as this wasn't something I'd read about before, and hearing so many wonderful things about the book really piqued my interest. I have to admit that I didn't think this book and I were going to gel. I love books that are told through letters but I wasn't drawn into Juliet's correspondence. I was really struggling and thinking about giving up (it happens. Not all books and readers get along. It doesn't mean it's a bad book, just not for you) but then suddenly I was gripped and found myself devouring the notes between Juliet, her editor and the members of the literary group, and I was bereft when it ended. I'd gone from wanting to pop the book - unfinished - in the bag destined for the charity shop to hugging it to my chest and wishing there was more. The Guernsey Literary and Potato Peel Society is full of heart and humour. My copy is going nowhere near the charity shop; it belongs on my shelf. Have you read The Guernsey Literary and Potato Peel Pie Society? What did you think?